Hot water is a triple whammy for your utility bills. First, it costs money to get the water (water bill). Second, it costs money to heat that water (electricity or gas bill). And last, it costs money to dispose of that water (sewer bill). All together, that’s a lot of potential savings with some small adjustments. Washing your dishes more efficiently can save you thousands of dollars during your lifetime, and help significantly reduce your carbon and water footprint. So to get started try implementing some of the following energy saving tips: By adopting these tips you could save as much as $72 per year! 1. Use your dishwasher effectively. 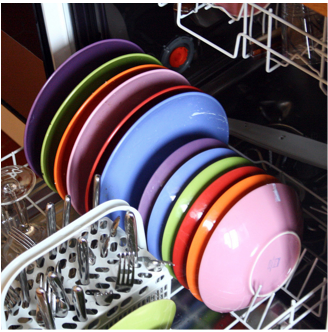 Setting dishwasher settings correctly is one of the easiest and fastest ways to save. Many dishwashers will have a heated dry setting. What this does is basically bake your dishes with hot air after they’re done washing and rinsing in order to dry them quickly. Since dishes will air dry on their own (just takes a little longer), this is a big waste of money. So check your dishwasher and change the settings so that the heated dry option is turned off. If you want to help expedite the drying of your dishes, just open the dishwasher door when the dishwasher is done and leave it open a crack. Dishes will dry relatively quickly. Different models of dishwasher will have different listings, but if you can find a way to turn off the “heated dry” option, your dishes will still dry and you’ll save a pile of money. Let’s take a look at how much this could save you every year: According to Hawaii Energy, the heated dry setting on your dishwasher causes it to use an extra 110kWh per year. Which when multiplied by the energy rate ($.3438 on Oahu) means your spending an extra $37.82 per year! Which is money you could be saving. But what about streaks? That has a lot to do with how you stack dishes in the dishwasher. So…. 2. 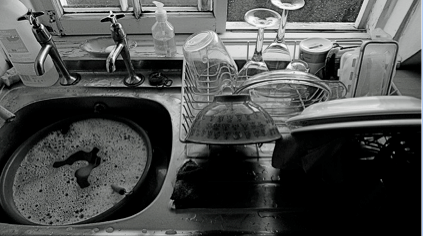 Practice good habits with your dishwasher. If you stack dishes incorrectly and with excess food, you may end up doing the load twice….and that’s pretty inefficient. Scrape your dishes of excess food and other debris, but don’t pre-wash them. It’s unnecessary and wasteful. Plus, it’s extra work! Stack dishes facing inward. 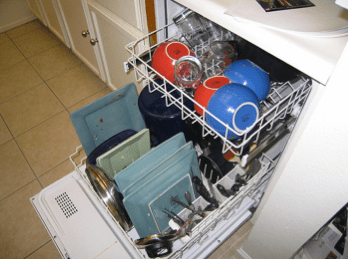 Just about all dishwashers are designed so that the spraying water and soap comes from the middle (both top and bottom), so if dishes are facing outward, they’ll not be as effectively cleaned. *Health tip: try to find dishwasher detergent (tablets or liquid) that is chlorine free. Chlorine in dishwasher detergents quickly radicalizes, forming organochlorines, a family of chemical compounds that includes dioxin, a known carcinogen. Any steam that escapes from your dishwasher potentially introduces organochlorines into your indoor air, which your family is breathing. 3. Only run your dishwasher when it’s full. Did you know that your dishwasher uses the exact same amount of water and energy whether it’s full or there is barely anything in it? It’s true. So to make your dishwasher as efficient as possible only run it when it’s full. Let’s take a look at how much you could save by running your dishwasher only when it’s full: According to Hawaiian Electric, dishwasher use accounts for 490kWh per year per household. Assuming that by only running your dishwasher when it’s full you can reduce your annual usage by 20%, that could lower your energy usage to 392kWh per year. Multiply it by the energy rate ($.3438) and that adds up to a savings of $33.69 per year! 4. Hand washing? Follow grandma’s strategies. Your grandmother probably had a little bin in her sink, right? Turns out, your grandma was quite the conservationist. The bin had soapy water and was for soaking, and she might even have had another with clean rinse water in it. 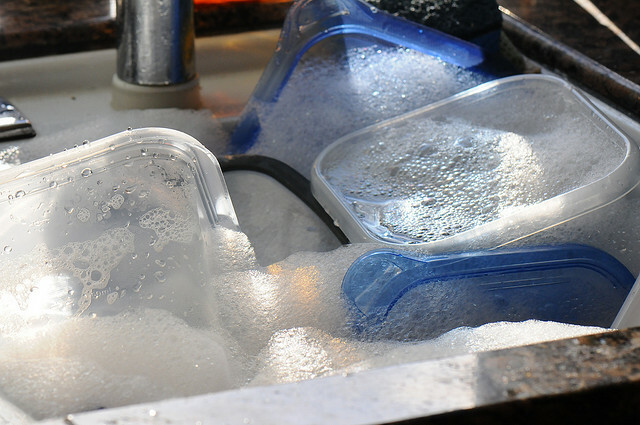 All dishes went into the soaking bin, where water and soap can help loosen up the caked on leftovers on your dishes. Once they’ve been in there for a short while, they’re remarkably easy to clean. You can take them out of there and quickly wipe clean with a sponge before giving them a rinse or dipping them into the rinse bin. The amount of time you spend at the sink will be decreased, and the amount of heated water you use will be, as well. Savings all around! 5. Extend the life of your sponges. Sponges aren’t exactly expensive, but over time, the money adds up. Many people just chuck a sponge when it starts to get discolored, assuming that it’s likely harboring bacteria. That may well be true–damp sponges are bacteria havens. But, you can get more life out of your sponges by popping them in a pot of boiling water for just a few seconds, or dampening them slightly and then microwaving them on high for 10 seconds or so. 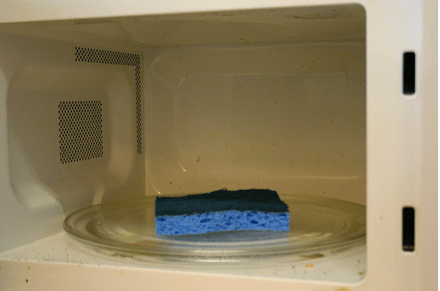 This also happens to be a terrific way to clean the caked on splatters in your microwave, by the way–the steam escaping from that sponge will loosen food splatters and make the walls of your microwave a one-wipe cleaning job. The following photos are courtesy of the Flickr Creative Commons (Soaking tupperware, dishwasher setting – heated dry off, loaded dishwasher, full dishwasher, soaking dishes and sponge in microwave) and Pono Home.